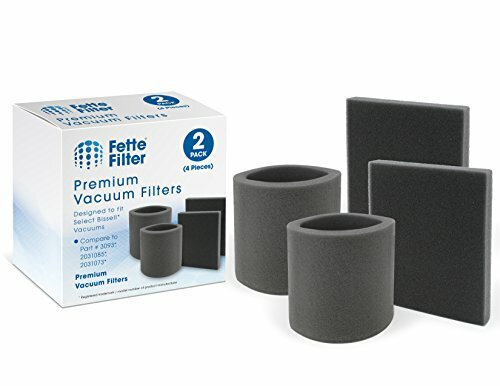 Bagless Upper Tank Outer Circular Vacuum Filter & Pre-Motor Filter Compatible with Bissell LiftOff Revolution, Cleanview Helix and PowerTrack Series. Contains 2 Upper Tank Outer Circular Vacuum Filters & 2 Pre-Motor Filters. Compatible with the following Bissell Vacuums: CleanView Revolution Deluxe Upright Bagless Vacuum 35961, 3595X, 3596. 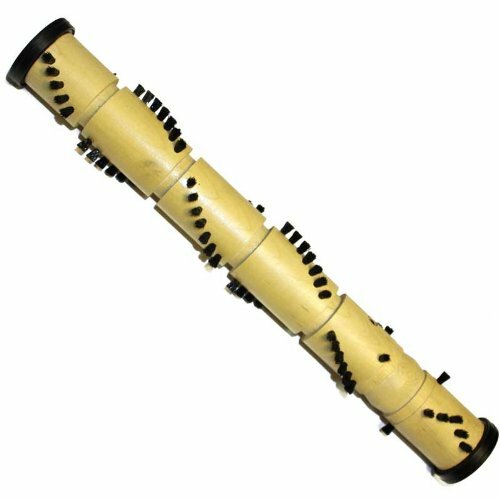 CleanView Upright Bagless Vacuum 3590, 3591, 8975, 8975R, 8990, 8990R, 8990W. Velocity Upright Bagless Vacuum 75B21, 75B2. LiftOff Revolution Bagless Pet Vacuum 37604, 3750, 3760, 37601, 37602, 37605, 37606, 37607, 37608, 3760H, 3760J, 3760P, 3760R, 3760T, 3760V, 4220, 42209, 4220P, 6595, 65951, 6595P, 6850, 6860H, 6860X. Compare to Part # 3093, 2031085, 2031073. Packaging may vary. This is not a Bissell OEM product. The Bissell brand names and logos are the registered trademarks of their respective owners. Any use of the Bissell brand name or model designations for this product are made solely for purposes of demonstrating compatibility. 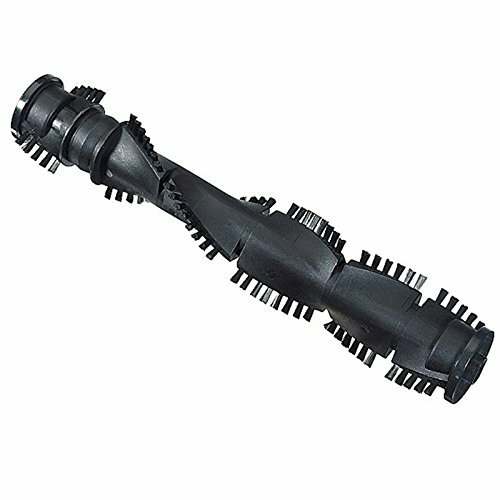 Bissell extension wand designed for the Lift-Off, Revolution and multicyclonic model vacuums. Telescoping. 1-Piece. Designed for the Lift-Off, Revolution and multicyclonic model vacuums. Provides longer reach. Designed for the Lift-Off, Revolution and multicyclonic model vacuums. Balanced, with 2 rows of nylon bristle, 14" length. Compatible With: Bissell Lift-Off Revolution Pet 37604, 3750, 3760, 37601, 37602, 37605, 37606, 37607, 37608, 3760H, 3760J, 3760P, 3760R, 3760T, 3760V. 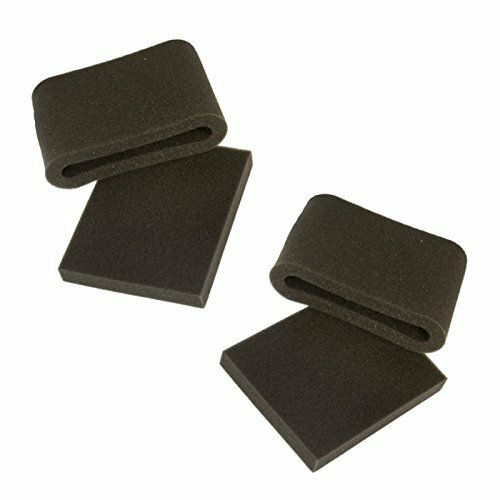 Includes Bissell Filter Kit 3093 and Two Style 8 / 3091 Post-Motor Filters Replacement. 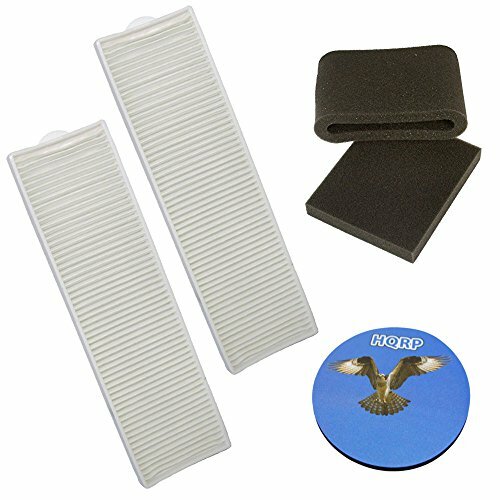 This is a (1) Year supply kit of all the belts and filters you'll need to replace on your Bissell Lift-Off, and Bissell Lift-Off Revolution Bagless Upright Vacuum cleaners. 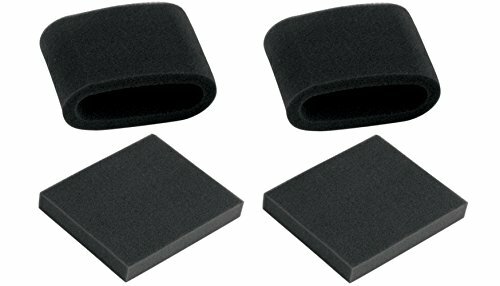 Included with this bundle kit are; (4) Sets of the Bissell Style 7 and 8 3093 Pre-motor filters, including the circular filter wrap, or Bissell part 203-1085, which is located above the dust bin, as well as (4) Bissell part 203-1073, the square shaped filter which is located in the slide out tray underneath the Dirt Container. 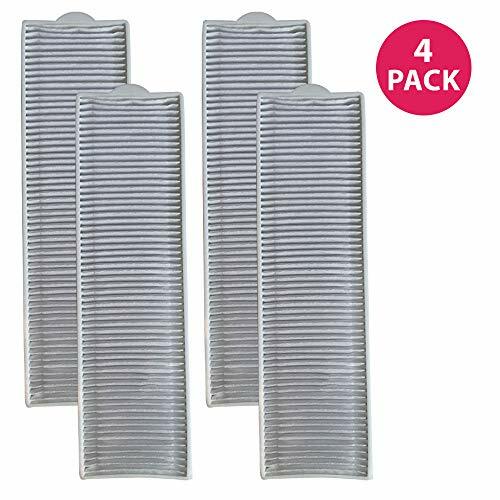 These filters are packaged together in a kit which is Bissell Style 7 and 8 part 3093, and are recommended by Bissell to be replaced every 3 months. Compatible with: Bissell Lift-Off Revolution Pet 37602, 37603, 37604, 37605, 3750, 3760, 37601, 37606, 37607, 37608, 3760H, 3760J, 3760P, 3760R, 3760T, 3760V, 4220, 42209, 4220P, 6595, 6595P, 6850, 6860H, 6860X Upright Vacuums, part # 3093 Replacement. 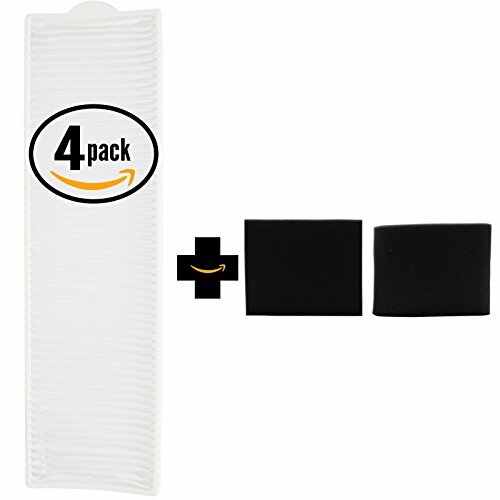 The package contains 2 sets of filters: 1 upper tank foam filter and 1 pre-motor foam filter. 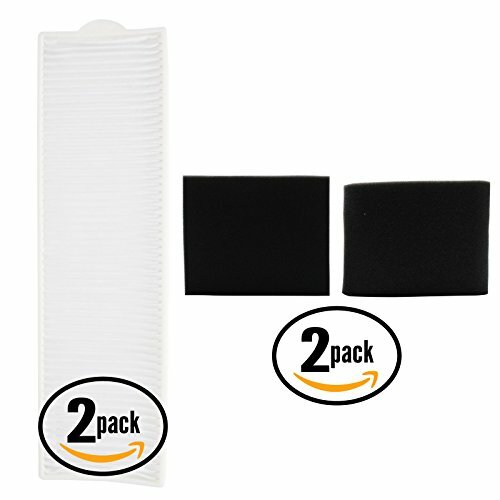 Both filters are washable - Clean by hand washing in warm water. A mild detergent may be used if desired. 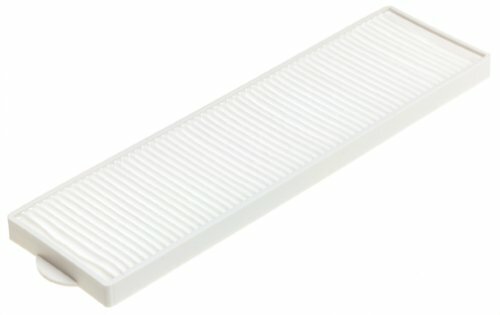 Allow the filter to air dry completely before replacing. Do not operate the vacuum with wet filters! Change your filters every 3 to 6 months for optimal performance of your Bissell Upright Vacuum. 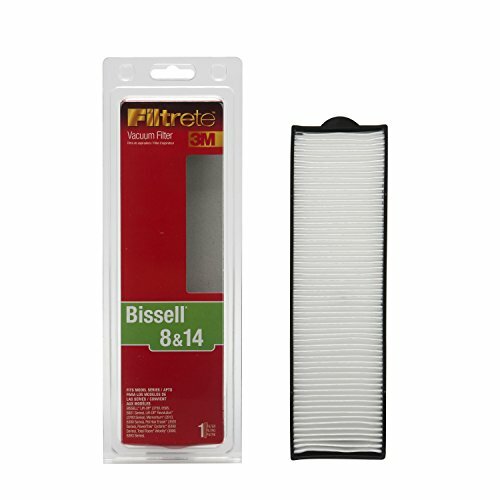 3M Filtrete Bissell 8 & 14 Allergen Vacuum Filter fits vacuum models BISSELL* Lift-Off* (3750, 6801 Series), Lift-Off* Revolution* (3760, 4220, 6595, 6850, 6860 Series), Lift-Off* MultiCylconic Pet (18Z6, 3750, 6801, 89Q9 Series), Momentum* (3910, 6390, 82G7 Series), Pet Hair Eraser* (3920, 87B4, 87R4 Series), PowerClean* (16N5, 3540, 92L3 Series), PowerGlide* (1044 Series), Powergroom* (4104, 92L3 Series), PowerTrak* Cyclonic* (82G7 Series), Total Floors* Velocity* (3990, 6393 Series), Velocity* (3950, 75B2 Series) Uprights. Genuine BISSELL parts. Includes 1 post-motor filter. 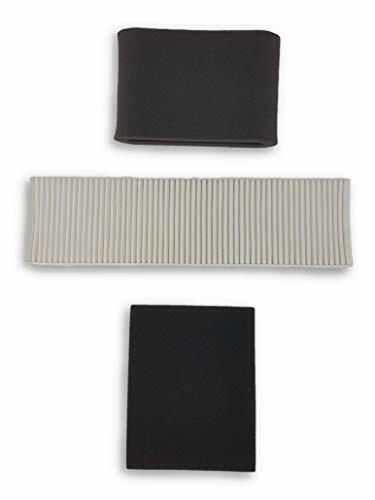 This accessory Works with with PowerGroom (92L3, 4104 series); Lift-Off (89Q9, 18Z6 series); Lift-Off Revolution (3760, 4220, 6860 series); Pethair Eraser (3920, 87B4 series); Powertrak Cyclonic (D9 6390 SERIES); Momentum (3910, 82G7 series); Velocity (3950, 75B2 series); Total Floors Velocity (3990, 6393 series). 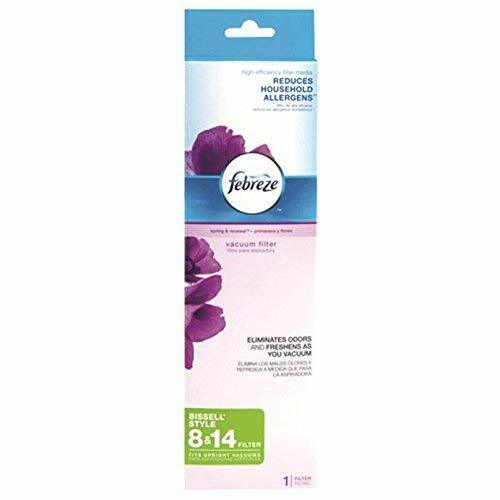 *Febreze and related trademarks are owned by The Procter & Gamble Company, Cincinnati, Ohio, and used under license by BISSELL Homecare, Inc. 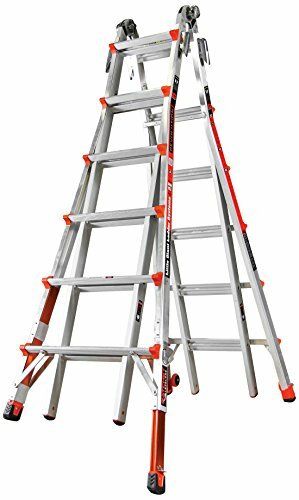 The Revolution is designed to be the safest ladder on the planet. Since it's adjustable, the Revolution can be used safely on stairs, ramps, curbs, docks or other uneven surfaces. The Revolution is made using LiteWave aluminum technology, the very same material used in aerospace construction. So it's ultra-strong while remaining light and portable. 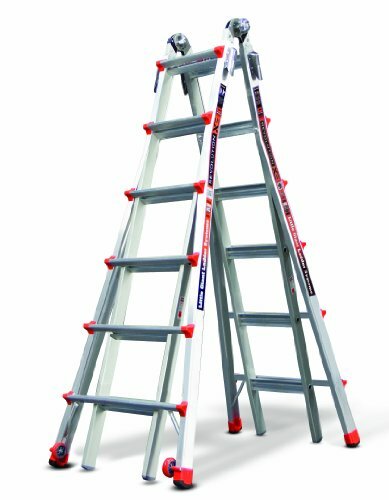 Now you can work safely - even on uneven terrain - thanks to the all-new Little Giant Ratchet Levelers. The Dual Ratchet Levelers are installed at the factory and offers hands-free options to provide up to 9.5 inches of leveling adjustment on each leg. Simply push the levelers with your toe for a simple, stable setup. 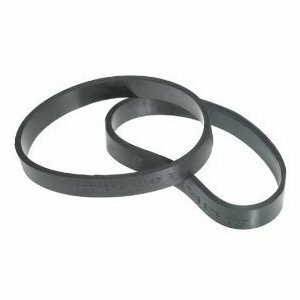 Compatible With: Bissell Lift-Off Revolution Pet 4220, 42209, 4220P, 6595, 6595P, 6850, 6860H, 6860X, Velocity 75B21. 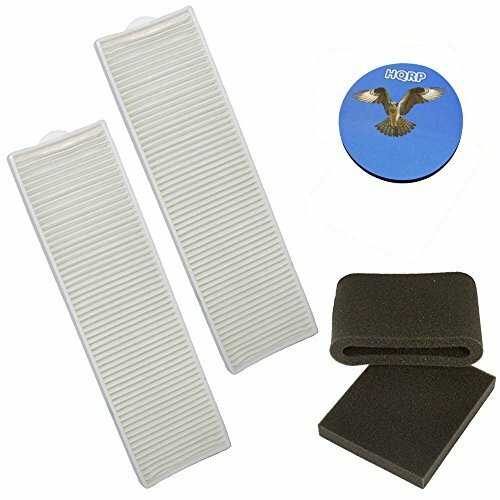 Includes Bissell Filter Kit 3093 and Two Style 8 / 3091 Post-Motor Filters Replacement. We face a myriad of challenges each and every day. Cleaning clogged drains no longer has to be one of them--thanks to the revolutionary new SinkShroom Chrome and Nickel Editions. 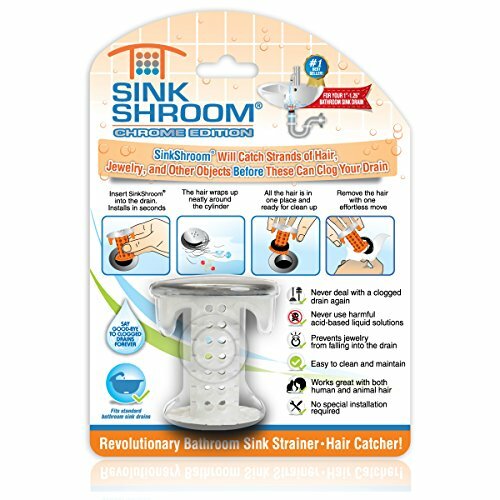 SinkShroom fits snug inside your bathroom sink drain, all calm and collected, effortlessly gathering each and every hair that tries to make its way down your vulnerable drain. It even protects against rings and other jewelry falling into the drain. It's the hero you deserve in your bathroom. Compare prices on Lift Off Revolution at Elevelist.com – use promo codes and coupons for best offers and deals. We work hard to get you amazing deals and collect all avail hot offers online and represent it in one place for the customers. Now our visitors can leverage benefits of big brands and heavy discounts available for that day and for famous brands.